Like Liverpool, Bristol is a seaport facing west. The populations of Bristol and Liverpool have rioted against the police. Both cities offer vibrant provincial cool. Bristol has an economic plan, Bright Future, which recycles confidently the familiar formula of arts, retail, industry and tourism. The sloping streets of the hinterland around the University offer secret cultural life and entertainment. Isambard Kingdom Brunel became famous in Bristol. He built bridges, designed trains and a rail network and created the revolutionary ship Great Britain. The latter projects failed but Brunel combined disaster with achievement and innovation. His ‘Gentlemen’s Wide Gauge’ was engineered for luxury train travel for the rich but, like expensive kebabs, did not have the economic potential of the more narrow trains that transported working people in the North. The Clifton Suspension Bridge has a span that Thomas Telford thought would be impossible to build. Close to the city centre the gorge that the Clifton Bridge spans is a surprise and adds to the architectural drama. One critic described Brunel as ‘a man who sought novelty and thought size was important.’ He is not the first man to be preoccupied with such matters. John Atyeo played for Bristol City football team. He worked as a quantity surveyor and trained to be a teacher. Possibly thinking he was Dutch, the centre forward wanted intellectual stimulus. Atyeo refused a financial contract with Inter Milan that would have made him rich. Teaching and sharing knowledge with pupils was important to him. Now we have Andy Carroll on Twitter complaining about burning his pizza. Neoconservatives think that life began with Adam Smith but international trade from Bristol was thriving by the 11th Century. In the 17th Century our entrepreneurs had a marvellous win-win wheeze for supplier and customer. Between 1697 and 1807, 2108 ships carried 500,000 slaves across the Atlantic. Slaves were priced between £20 and £100. The trade was worth at least £20m in 18th Century money. Workers in the factories of Britain were paid fifteen shillings a week. Thus spoke the voice of Empire and civilisation. 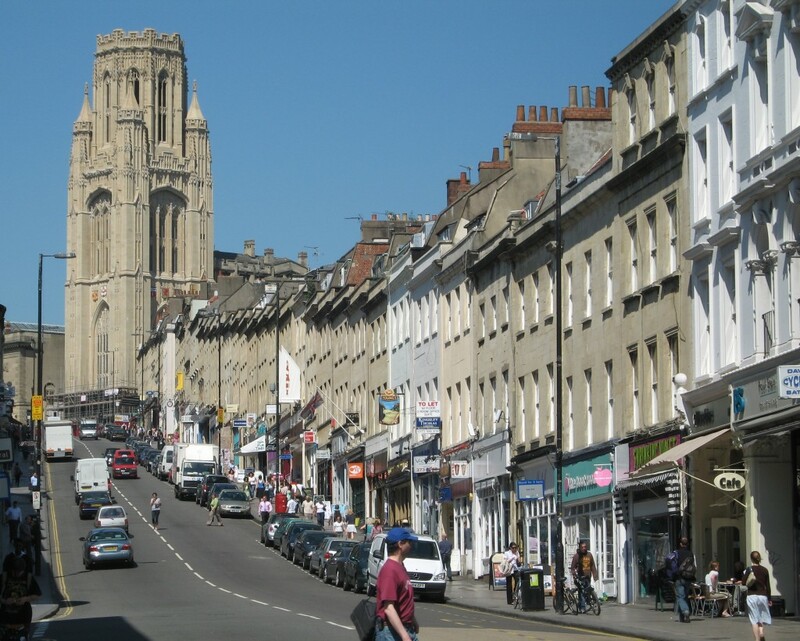 Now the politics of Bristol are balanced and responsible. The city will be the European Green Capital of 2015. The Green Party has six of the seventy seats on the Council. Labour has the most but shares control with the Lib Dems. On my last visit I sat in a fine Italian restaurant and watched an unassuming young man ride his bike past elegant buildings and along wide streets. German Marxist historian, Eric Hobsbawm, described the British as ‘a bit thick but lovely people.’ Like Atyeo, the best understand scale and humanity. Inside the restaurant the red wine gave me sentimental hope. The following weekend I visited London. Boris Johnson passed by me on his bike. Posted in Actors, Andy Carroll, Boris Johnson, Bristol, Bristol City Football Team, Eric Hobsbawm, Inter Milan, Isambard Kingdom Brunel, John Atyeo, Labour Party, Liverpool, Marx and tagged politics, Race Relations, travel, UK Cities, UK history on February 7, 2015 by Howard Jackson.